By jimmyzr1, February 11 in Where to stay? What to do? We will also be returning to the area in April to look for a house rental. What are your requirements in a "good" school? In other words, what do you expect from a school? How much are you willing to pay for that "good" school? Your answers to these questions will give a place to start in answering your inquiry. Preferably a private school in a decent area, we would like to live in a relatively quiet subdivision where other expats live as well. Am flexible on the area as long as it checks those boxes. There are "private" schools everywhere in the Philippines. It is a big business, but very few are what I would consider "good" schools, and very few will give your child a decent education (by western standards). Then again, if all you are looking for is a private school, then they are everywhere. Therefore, you should find a place where you want to live, and then find a private school nearby (if that is all you are looking for). One thing about the Philippines is that there is no zoning. That means there are no places that are wholly "decent" or "not decent" as you say (since slums and industrial areas will be right next to subdivisions and condominiums). You can get a place in a nice subdivision (or a nice condominium), but there is no guarantee that any other expats will be living there. Expats are pretty spread out (maybe because most expats don't move to the Philippines to live close to other expats). Even if there are other expats living there, it is likely they will be Chinese or Koreans, since those are the two largest expat populations. Just find friends and keep in touch. They don't need to live next door. In my opinion, the best non-international school in the Cebu metro area is SHS Ateneo de Cebu. It is located in Canduman, Mandaue City, and is close to Talamban and many "nice" subdivisions in the area (Talamban and Mandaue City). There is also a condominium right next the the main school entrance. They will give your child a seriously good education (with a curriculum heavy in math, science and languages), but it is a Catholic school (run by the Jesuits ... who stress a strong education). Then again, most "private" schools in the Philippines have a strong Catholic bent to them. If you want something other than a Catholic school, you will have to do a lot more searching. There are two internationally recognized "international schools" in the Cebu metro area (CIS and CIE), but they are VERY expensive. 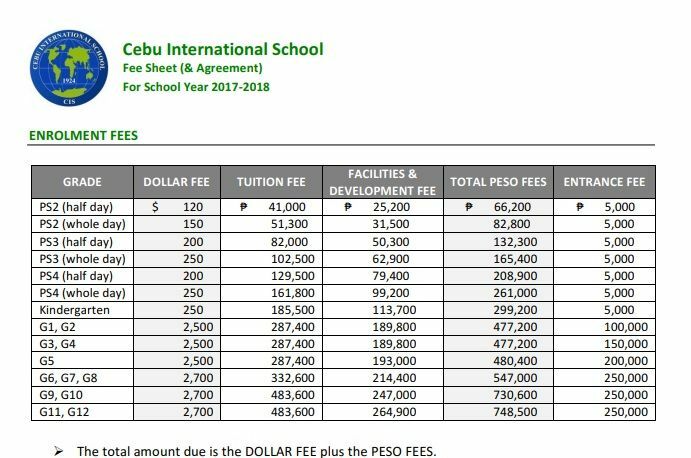 There are other "international schools" in the Cebu metro area, but they are still fairly pricey with no international recognition. There is a Seventh-Day Adventist school in Talisay City called the Visayan Academy, and there are several evangelical Christian schools scattered around the metro area. I have no idea how "good" they are. Hopefully, this has at least given you some food for thought and a place to start. Ok, let’s say if I was planning on spending up to and around 40k p per school year (or around $100 us per month), is that doable for one of the better schools? How much would you guess the international schools run, if you happen to know? Also, her son speaks Tagalog and English, will that be a problem, in your opinion? Thanks for all of your advice, I really appreciate that. What motivates you to want to move to Cebu? Your eight days of searching may not be enough to get a clear idea of what your lifestyle may be in Cebu. For example, traffic conditions can strongly effect whether the subdivision choice was a good one. Do you expect your girlfriend to be Employed? Will you use public transport until you can get a drivers license? We are hoping to get a feel for the community in the 8 days visit. To be honest, we are not sure what to expect, except I’m sure there will be too much traffic in many areas. I would prefer to be in a less crowded subdivision around other westerners, as much as possible. I prefer making friends with others as opposed to excluding other foreigners. I know, when were visiting Davao City, they had an expat club where my girlfriend met other spouses / girlfriends and I made some friends as well. Hopefully we can make acquaintances like that. I don’t plan on having my girlfriend work, and I don’t plan on driving because I hate driving in congested traffic. Maybe my girlfriend can learn how to drive, and that can be her work. To be honest, maybe living in one of the surrounding towns with a decent school and a good hospital may be a better choice, if such a place exists. And then travel to the city as needed. These were the CIS Fees for last school year. A 9 year old would probably be in Grade 3. Yes, I think that is out of our budget. I live in Leyte. Not at all like the big city and surrounding areas of Cebu city. However, many of the expectations you mention (shopping, schools, subdivisions etc) can be found away from the larger cities. Ormoc City for us is quite adequate for shopping and basic medical care. I don’t live in a subdivision and would never want to. So, I can’t make comments about subdivisions, but would caution you that they can often end up less than you thought. Ormoc city has several shopping malls some less than a year old. There are subdivisions, but I have little knowledge about them. There are many foreigners in the city, or at least I see a lot of foreign looking people around the city. Several hospitals in the city, but with fewer medical specialists, and facilities (limited MRI, CT scans etc). As far as schools, there are a wide range of public and private available. There are members of LinC who will have much more to say about the education system here. For myself, I have raised three children here and have few issues with the system, public or private. Just my point of view. By the way, the comments about having a high average are likely to be tongue-in-cheek. Getting good grades does not equate to getting a good education. Yes, I’ve read a little about Leyte, several people seem to like it there. I’m not saying that I would have to live in a subdivision, just maybe for a nicer area for a 9 year old boy to grow up in with friends around his own age. 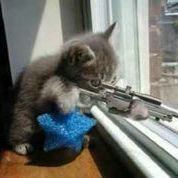 Right now, he only has his 4 year old female cousin to play with. Also, what would you do in case of medical emergencies, such as stroke or heart attack? I guess that is just the chances we take, living in the Philippines. My father has had both a stroke and a heart attack, and I considered him to be in better condition than I am, although I have lost about 45 lbs in the past 6 months. I still have another 45 or so to go though. Maria Luisa subdivision looked very nice in Cebu. If Ilived in Cebu I would choose that area. cebu properties dot com and other sites listings via google. If you have not already.